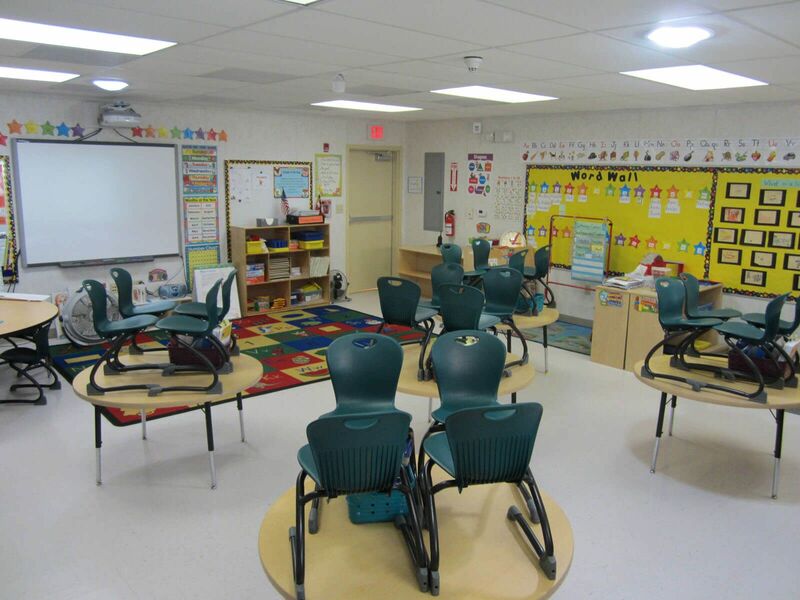 Evergreen Elementary School was designed with environmentally friendly features, including waterless urinals, green roofs, energy efficiencies and natural lighting. 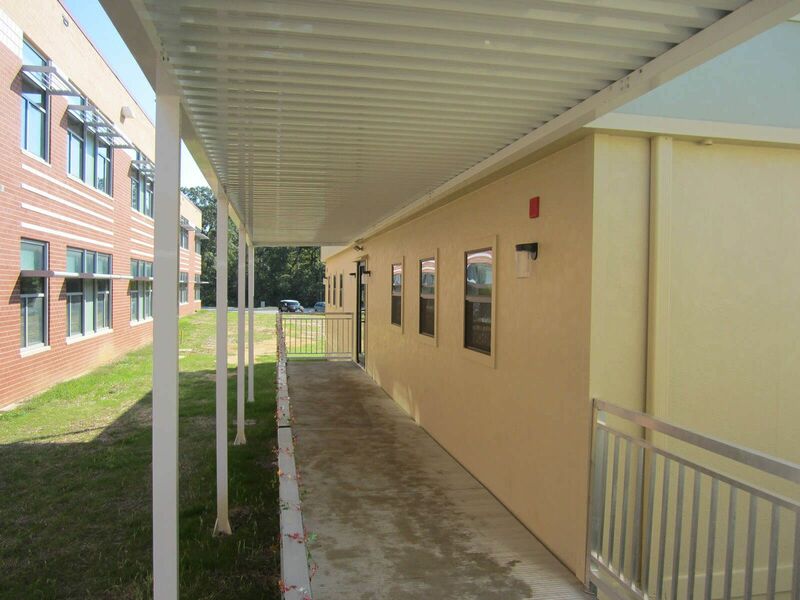 Evergreen was so new and considered a model, it was important that the new portable classrooms not deter from the aesthetics of the campus. 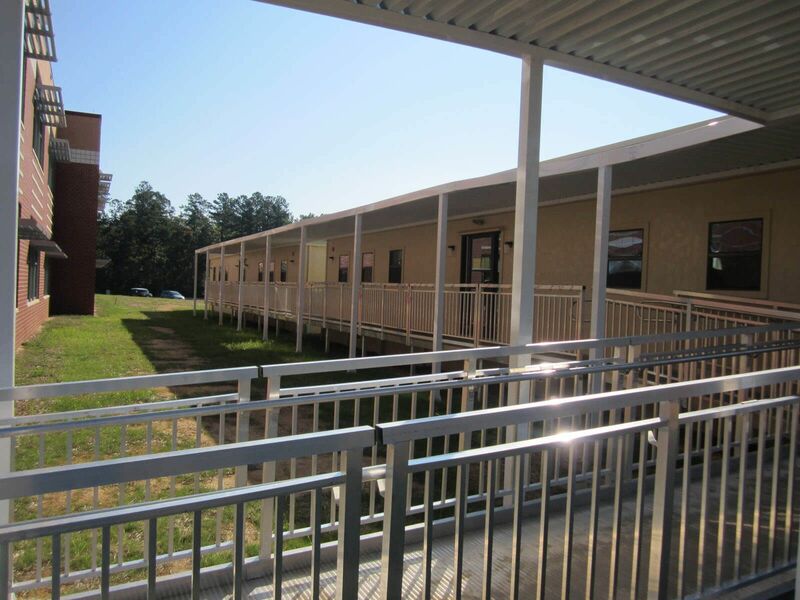 Modular Genius worked with St. Mary’s to maintain the campus color scheme and utilized custom sized high performance windows to match the innovative school. 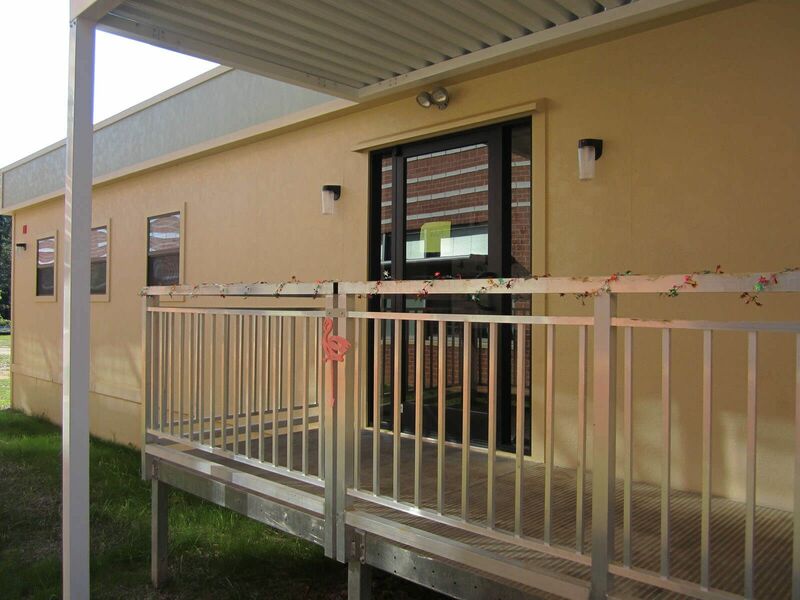 A glass storefront main entry with side lights enhanced the exterior elevation while creating a small corridor leading to each classroom. 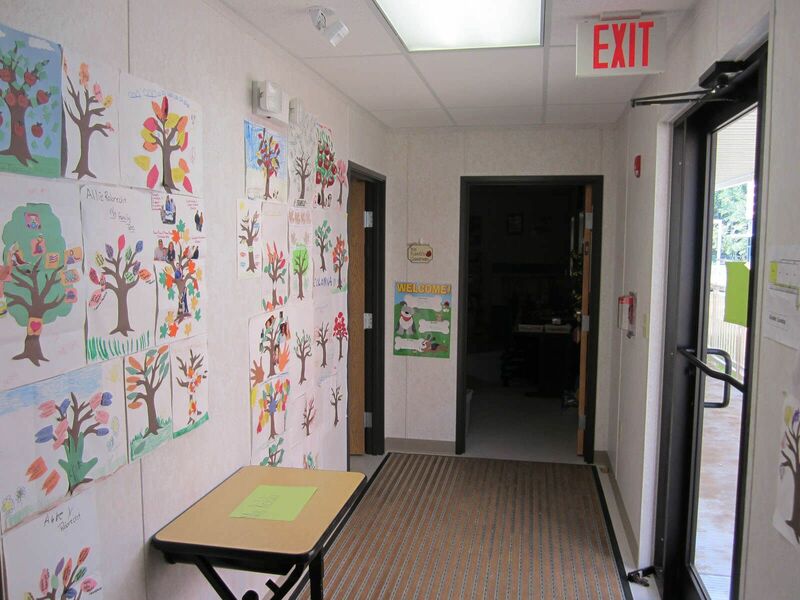 This hallway and entryway was designed to allow each classroom to utilize the male and female restrooms while maximizing classroom size. 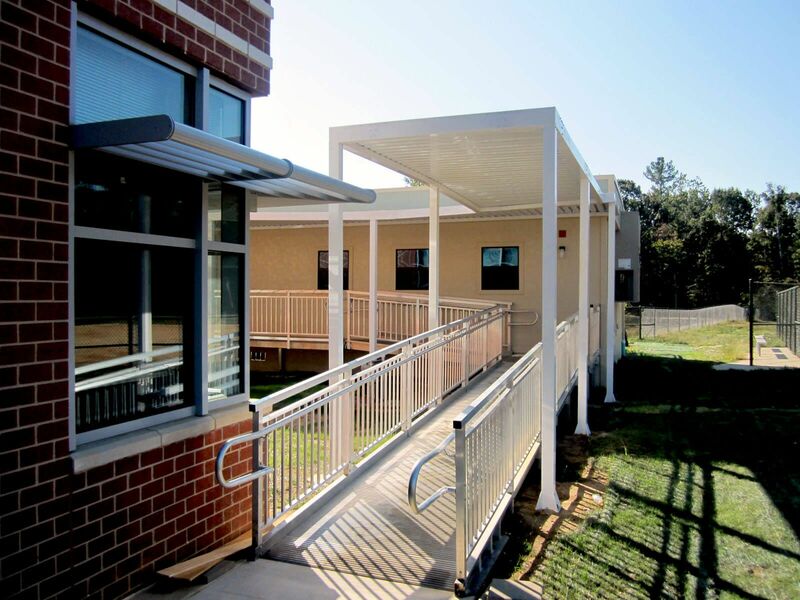 Evergreen Elementary School was awarded LEED “gold” status in October 2010 the leading-edge system for certifying the greenest performing buildings in the world. 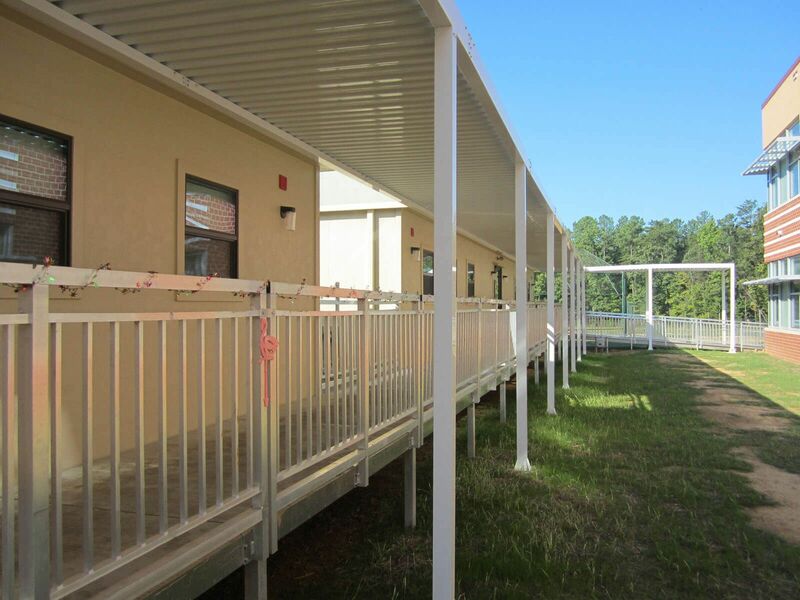 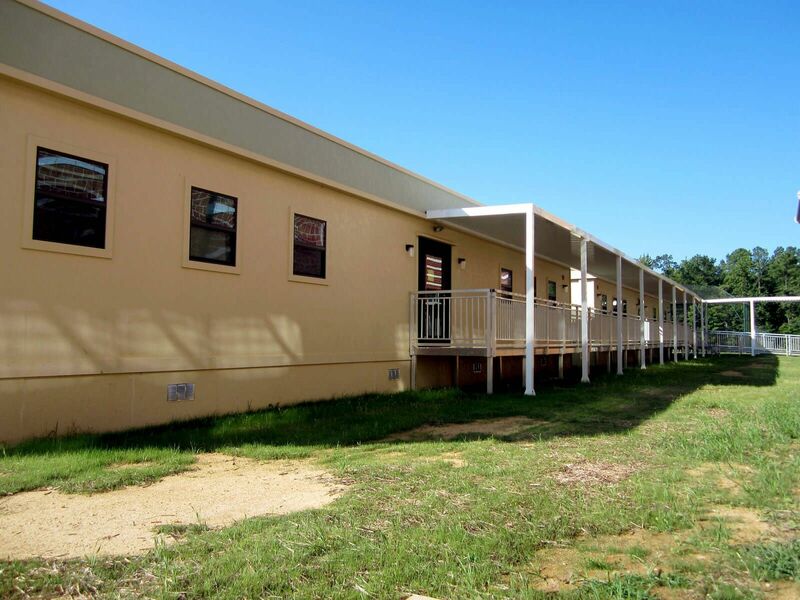 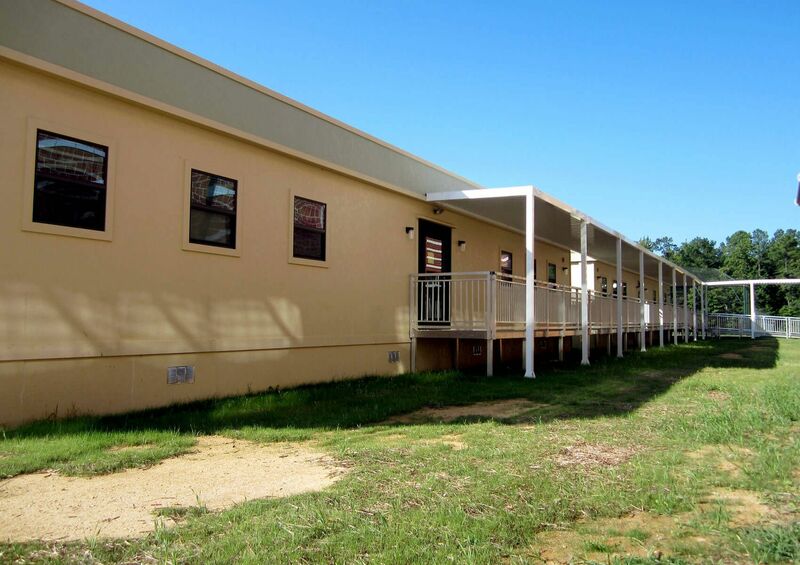 In consideration of the green technology utilized on the school, it was logical that the new portable classrooms had to also incorporate green features. 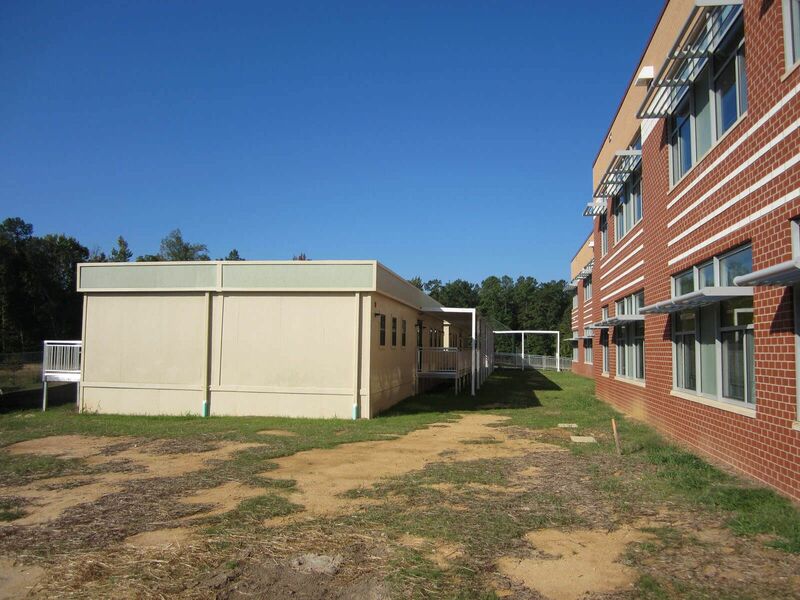 Waterless urinals were installed to reduce water use. 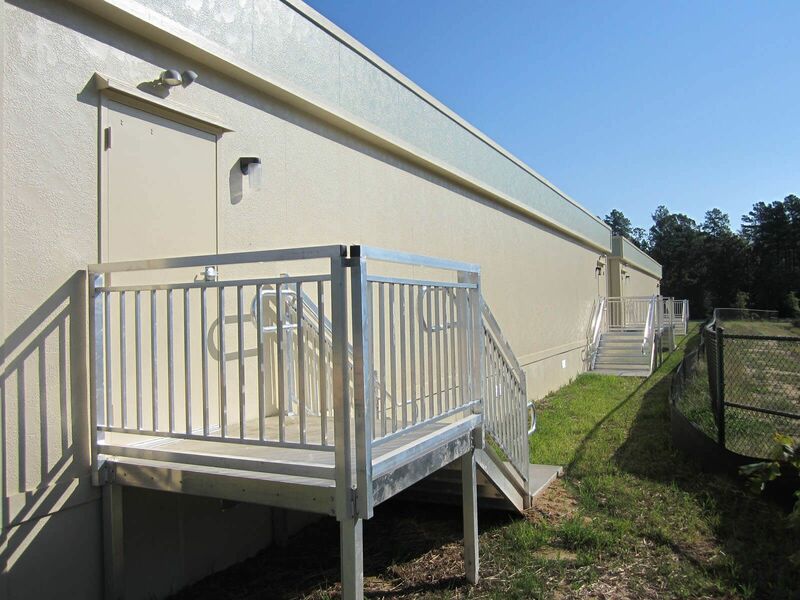 In order to maximize HVAC efficiency, a white rubber roof was used to reflect sunlight. 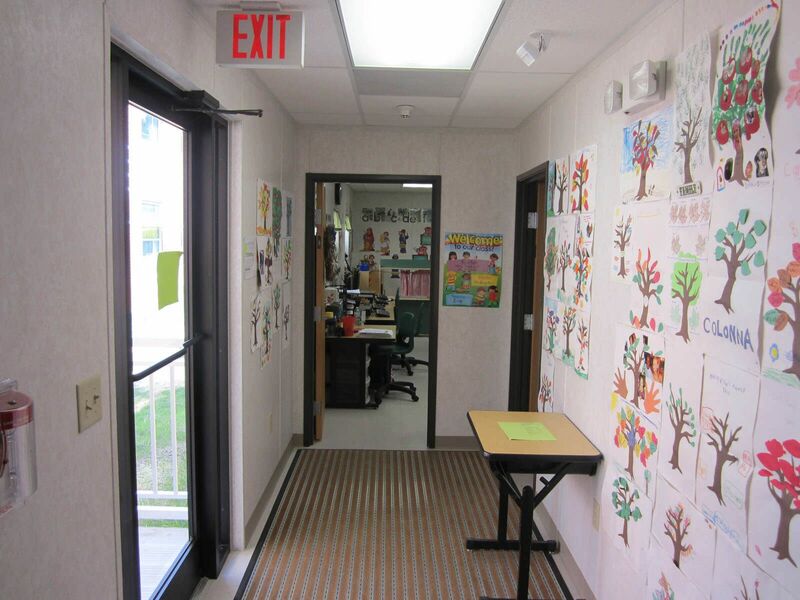 In addition, the HVAC units were up-graded to high efficiency Quiet Climate Heat Pumps that utilize green refrigerant. 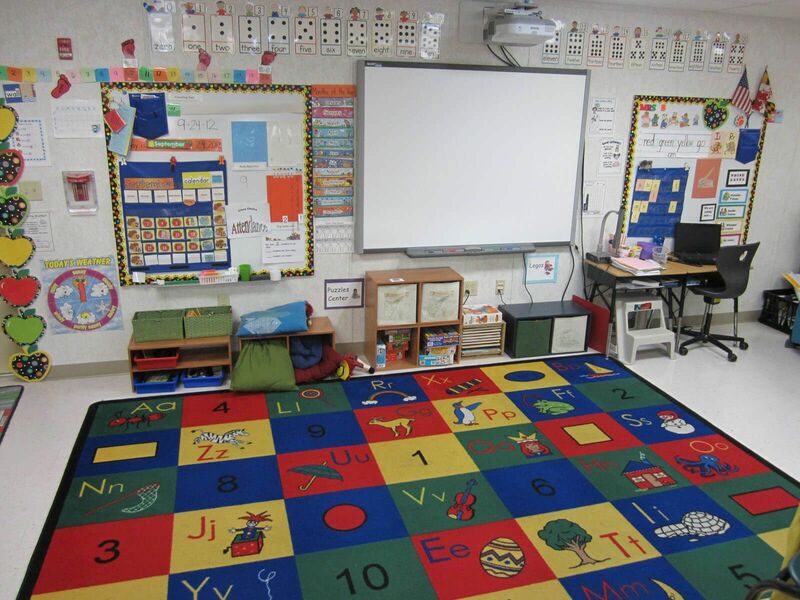 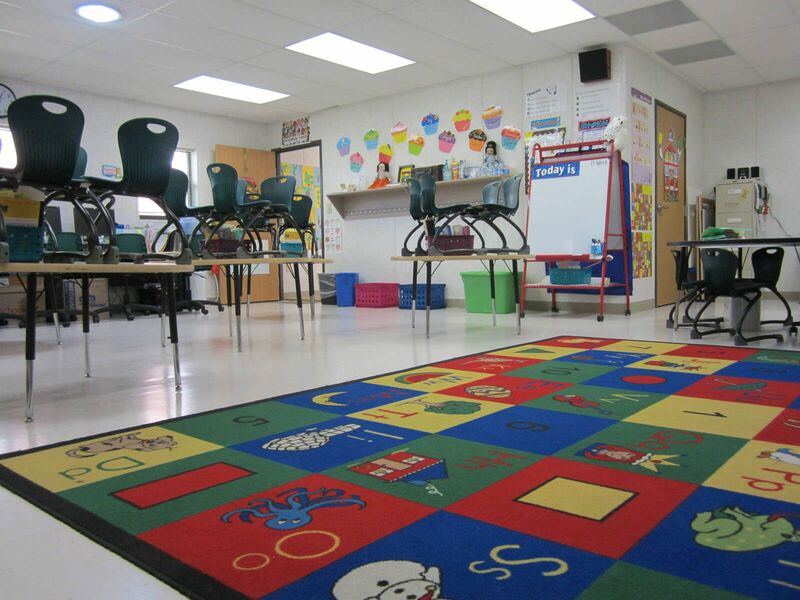 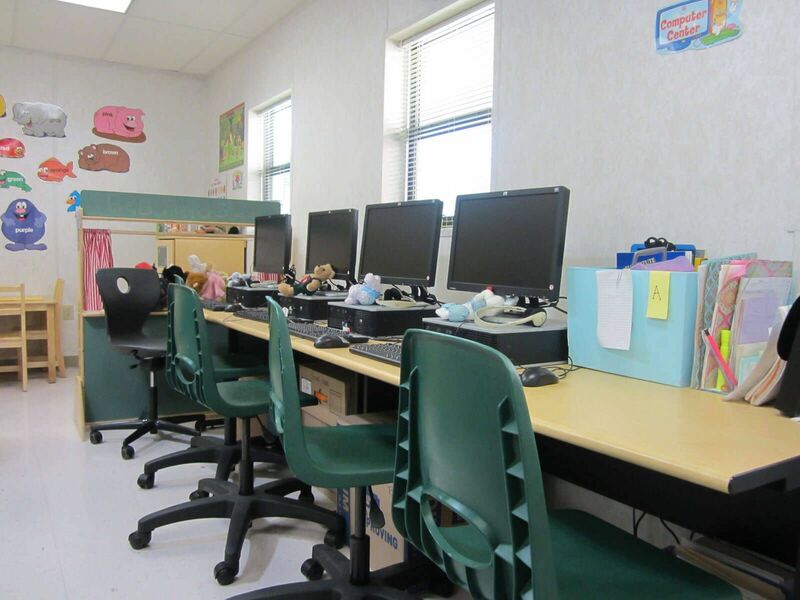 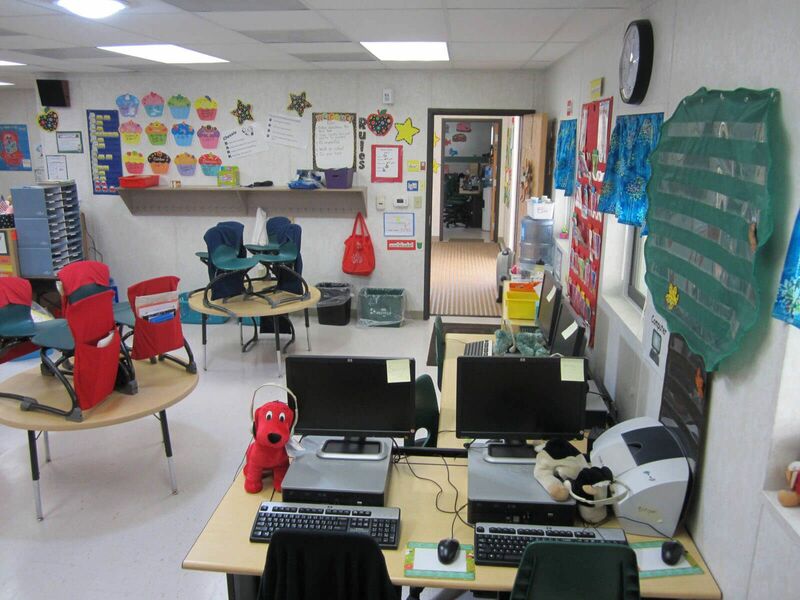 A CS 2000 energy management system was installed that learned the occupancy habits of the classroom for each day of the week, thus reducing power consumption. 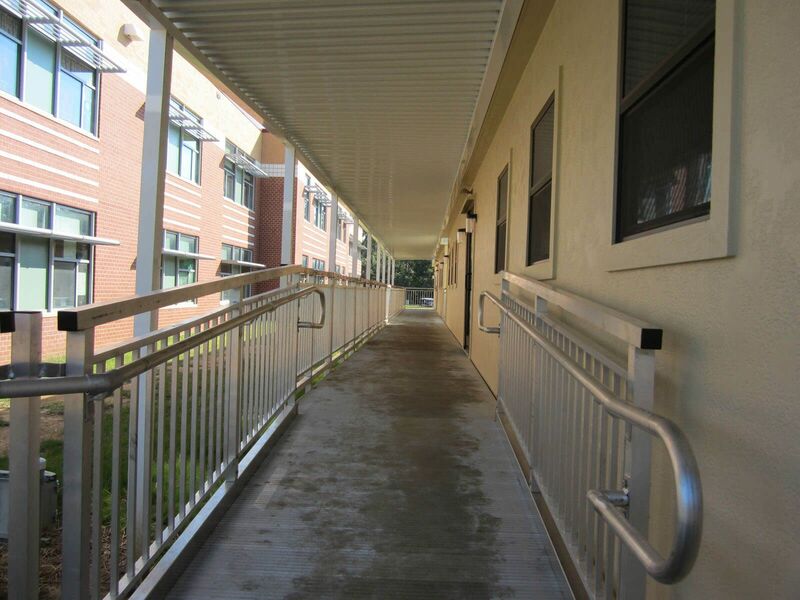 Sun-tunnels were installed to add natural light and a pediment matt was placed in the hallway to reduce noise, dust and debris in the building.